This article is about the store on the official website. For the in-game store, see Crown Store. 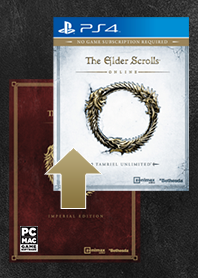 The Elder Scrolls Online PC/Mac Store allows online purchasing of digital copies of the game along with exclusive paid content in the form of items and services for the PC and Mac versions of the game. Equivalent content is available for Xbox One and PlayStation 4 versions through the XBL Marketplace and PSN Store. For Steam versions of the game, content must be purchased through the Steam Store, and players can only purchase one of each kind of Crown Pack from the Steam Store once every two weeks. Morrowind and its Collector's Edition can also be purchased here. Purchase membership to the ESO Plus Premium service. This is available for $14.99 / €12.99 / £8.99 per month, with discounts available for buying a longer duration. 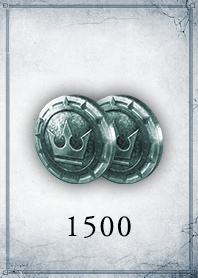 Purchase Crowns for use in the in-game Crown Store. From April 9 to May 9 2015, accounts which purchased ESO before June 30 2014 were given the option to purchase a digital copy of the game along with an account transfer for $20.00 / €14.99 / £12.99 for both PS4 and Xbox One. The account transfer would copy all characters and items over to the console megaservers, including Imperial Edition upgrades, and is therefore the only way to obtain certain items on the console. Copying accounts would not delete characters from the PC/Mac megaservers, allowing for continued play on both. Accounts could also be transferred to both consoles, resulting in three copies, but the transfer cost must be paid twice. The Imperial Edition Upgrade and Palomino Horse previously on sale in the Store were moved to the in-game Crown Store. This has resulted in them subsequently being bound to the server on which they are purchased, so they will need to be purchased twice to be used on both servers. Purchases of the upgrade and mount that were made before they were moved to the Crown Store have remained account-wide, and are available on both servers. [verification needed] The Palomino Horse has since been removed from the Crown Store and is therefore no longer available for purchase. Before the advent of the Crown Store, a number of pets were seemingly intended to be store purchases. These included: Pet Rufous Mudcrab, Pet Banekin, Pet Housecat, Pet Pony Guar, Pet Crony Scrib, Pet Argozog, Pet Retriever, Pet Scamp, Pet Scuttler, and Pet Wolfhound. This page was last modified on 13 January 2019, at 21:40.